4 oz. Box Sweet Heat Pecans - the perfect blend of sweet and hot on our gourmet pecans! 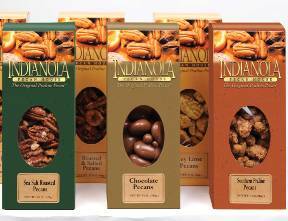 Our sweet heat pecans are a must have for spicy food lovers! You won't be able to get enough of this gourmet pecan with the perfect combination of sweet and spicy!